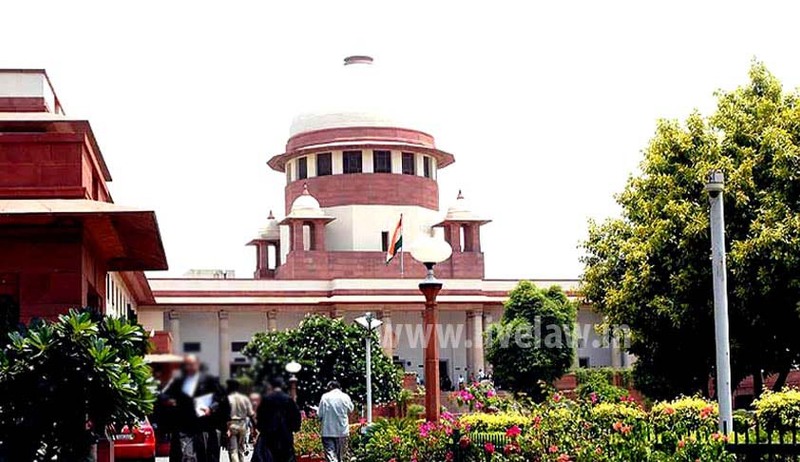 A two Judge Bench of Supreme Court of India has held that Section 311-A of Code of Criminal Procedure which has been introduced by Act No.25 of 2005 with effect from 23.06.2006 with respect to the powers of the Magistrate to order the person to give specimen signatures or handwriting is prospective in nature. The Bench of Justice V.Gopala Gowda and Justice R. Banumathi was considering the question whether the Judicial Magistrate/ Executive Magistrate was authorized to take specimen writing and signatures of the said accused during the investigation of the case when no matter was pending before either of them. Section 311-A Cr.P.C. has been inserted on the suggestions of the Supreme Court in State of Uttar Pradesh v. Ram Banu Misra, (1980) 2 SCC 343: AIR 1980 SC 791, that a suitable legislation be brought along the lines of Section 5 of Identification of Prisoners Act, 1980, to provide for the investiture of Magistrates with powers to issue directions to any person including an accused person to give specimen signatures and handwriting but no such powers existed prior to such amendment. The Bench held that the said amendment is prospective in nature and not retrospective. “The second paragraph of Section 73 enables the Court to give specimen writings ‘for the purpose of enabling the Court to compare’ such writings with writings alleged to have been written by such person. The clear implication of the words ‘for the purpose of enabling the Court to compare’ is that there is some proceeding before the Court in which or as a consequence of which it might be necessary for the Court to compare such writings. The direction is to be given for the purpose of ‘enabling the Court to compare’ and not for the purpose of enabling the investigating or other agency ‘to compare’. If the case is still under investigation there is no present proceeding before the Court in which or as a consequence of which it might be necessary to compare the writings. The language of Section 73 does not permit a Court to give a direction to the accused to give specimen writings for anticipated necessity for comparison in a proceeding which may later be instituted in the Court. Further, Section 73 of the Evidence Act makes no distinction between a Civil Court and a Criminal Court. Would it be open to a person to seek the assistance of the Civil Court for a direction to some other person to give sample writing under section 73 of the Evidence Act on the plea that it would help him to decide whether to institute a civil suit in which the question would be whether certain alleged writings are those of the other person or not? Obviously not. If not, why should not make any difference if the investigating agency seeks the assistance of the court under Section 73 of the Evidence Act on the plea that a case might be instituted before the Court where it would be necessary to compare the writings?